Google Stackdriver is a cloud-based managed services platform designed to give you visibility into app and infrastructure services. 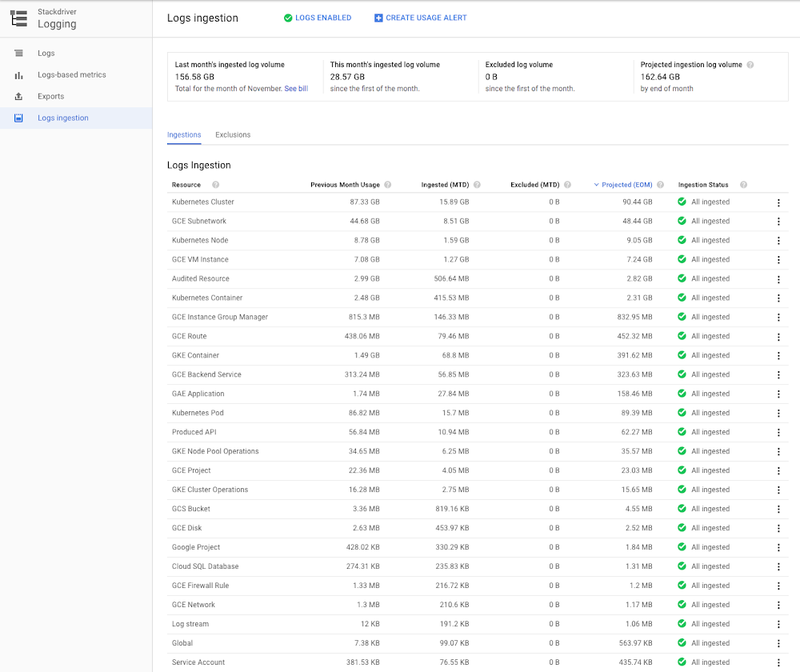 Stackdriver’s monitoring, logging and APM tools make it easy to navigate between data sources to view performance details and find the root causes of any issues. One of the benefits of cloud-based, managed services is that you pay only for what you use. While this usage-based pricing model might provide a cost benefit when compared to standard software licensing, it can sometimes be challenging to optimize and control costs, particularly if you’re new to cloud. We’ve worked across our organization here at Google to develop a Stackdriver cost optimization solution guide to help you understand and optimize your Stackdriver usage and costs. Each of the products in the Stackdriver suite provides configuration capabilities that can be used to adjust the volume of metrics, logs, or traces ingested into the platform, which can help you save on usage costs. Here are a few ways to configure the usage volumes for Logging, Monitoring and Trace. Logging: You can employ logging exclusion filters and sampling for logs with high volume to reduce your logs’ ingestion volume. Monitoring: You can carefully design or redesign your metric labels to prevent high cardinality labels from creating a large number of time series. Trace: You can use sampling and span quotas to stay within the desired volume of traces. The Stackdriver cost optimization solution guide describes these and other possible optimization strategies, what generates Stackdriver costs, and how to identify usage in the first place. You can use the solution guide to understand your own product usage and then implement strategies to meet your usage or cost objectives. Be sure to let us know about other guides and tutorials you’d like to see by clicking on the “Send Feedback” button at the bottom of the solution page. Previous: Where Do You Learn HTML & CSS in 2019?